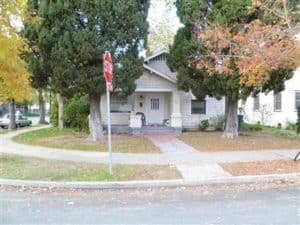 This Duplex features 2 beds and 1 bath per side. 874 sq ft per side. The real upside? Rent is $1000/month! Per side. Now let’s figure out the cap rate. $2000 gross rent -30% ( prop mang, repairs, water, sewer, garbage, ect) $1400 net per month. $16,800 annual divided by $300,000=5.6% cap rate. This little gem now has Newly painted exterior. Dual pane windows throughout. Redone bathrooms. Clear pest report and two year roof cert. Just sit back and collect the rent. Each side is 1 bedroom and 1 bath and 550 sq ft. Each has a small yard and front porch. 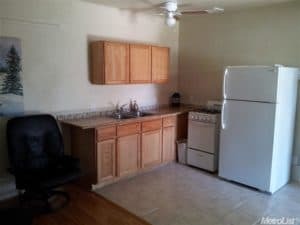 $1300 gross rent – 30% =$910 x 12 months=$10,010. $10,010 divided by $185,000=5.4% cap rate. WINNER FOR SACRAMENTO MARKET DUPLEX!! We have potential for a rent increase. Tenants are currently month to month. $1823 gross rent-30%=$1276 x 12 months=$15,313. divided by $169,000=9% cap rate!